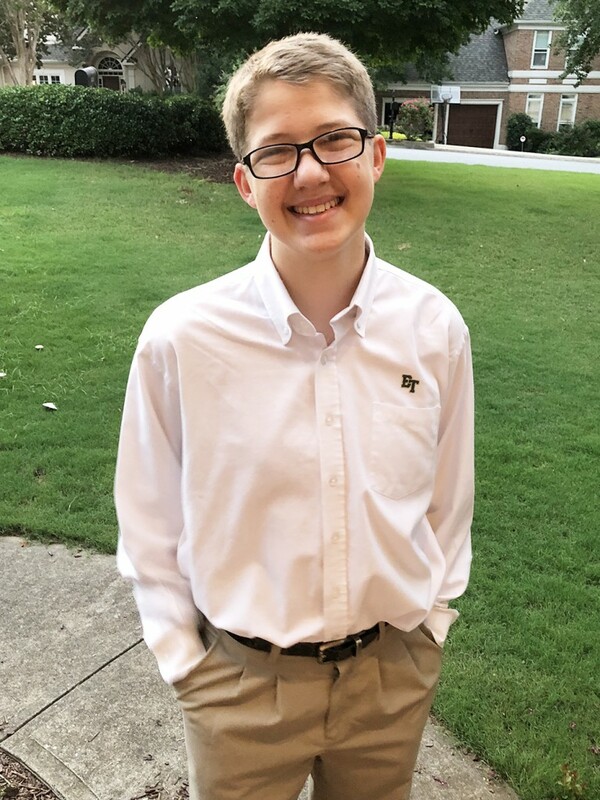 As a freshman in high school, Rally Kid Jack signed up for the cross country team to make friends and gain a sense of community at his new school, Blessed Trinity. As the season progressed, however, so did the tumor that doctors had discovered in Jack’s ear. While a team of medical professionals chased a diagnosis, the tumor began to impact his sure-footedness on the trails and, after a few extreme battles with vertigo, Jack had to sit out most of the season. Ear infections, Meniere’s Disease, Bell’s Palsy—every test came back negative as a true diagnosis eluded doctors for almost four months. As more common ailments were eliminated and the tumor continued to grow, they finally discovered the cause of the tumor just a few days before Christmas. Jack began chemo at Children’s Healthcare of Atlanta (Scottish Rite/AFLAC Cancer Center) on January 3, 2018 and is currently scheduled to conclude on March 13, 2019. As it stands, it appears the tumor, although smaller and weaker, will still be present once chemo concludes. The amazing team at CHOA is collaborating with a doctor at Emory who specializes in tumors and cancers of the ear. His input, along with the results from a PET scan conducted after chemo, will determine next steps. 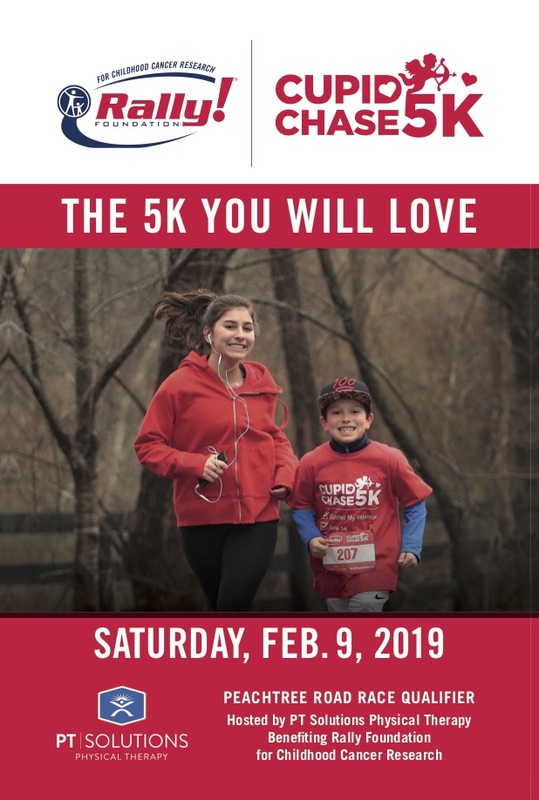 When Jack’s cross country team learned of his diagnosis, they rallied behind Jack and participated in last year’s Cupid Chase 5K in his honor. While a Rally Cupid Chase t-shirt was included with registration, the team decided to go the extra mile, so to speak. The BTXC team mom spearheaded an effort to have a team shirt made for all the runners there to support Jack.